Do you need a dependable Professional Lawn Care Service to properly care for your weekly lawn mowing service here in Hagerstown MD? There is nothing to worry about when you hire Grosh's Lawn Service to take care of your weekly lawn mowing in Williamsport MD. 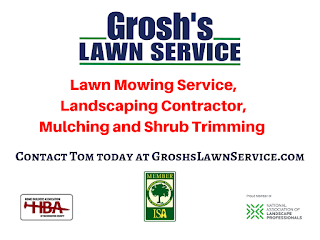 Tom and the team at Grosh's Lawn Service will maintain your weekly residential and commercial lawn mowing service so that you will not have an issue with maintenance of the grass, weeds, trash and wild trees growing in the storm management pond here in Washington County MD!